BookLust: A series that improves with every book! A series that improves with every book! 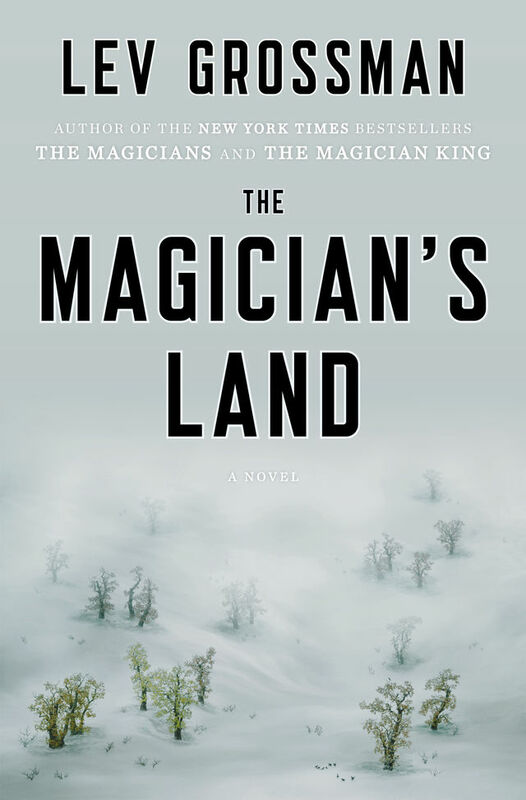 I generally dislike reviewing later books in a series, but I am making an exception for Lev Grossman's The Magician's Land because this series improved so much from one book to the next, and this last book in the trilogy was really, really good. At a time when I really couldn't scrape together the effort required to finish any book, The Magician's Land was just what I needed. I borrowed it from the library just before leaving on my trip to Europe, did nothing but read it on the whole trip to Budapest, and then finished it by reading in the evenings. I was completely wrapped up in the story, and in a year when I've really struggled with my reading, it felt so great to sink my teeth into a book. This year, it's really the fantasy stories that keep my attention; I seem unable to get through any other books. The Magician's Land picks up shortly after The Magician King left off, though it's partly told in flashbacks. Quentin Coldwater is back on Earth, and he has a new mission in life (that I won't share due to spoilers). Suffice it to say that this mission involves many characters from previous books and brings the series to a satisfying conclusion. Honestly, at the beginning of this series, Quentin was such a horrible person. I wanted to spend zero time with him, and I disliked most of his friends, too. But he really does improve with age, and in this book, he's really pretty great. And just the whole plot of this book was fantastic. I loved the whole Ocean's Eleven-esque heist and the dark humor with which the team approached the job, I loved Quentin's focus on his goal, I loved the time we spent in Fillory with Janet, the whole story around the gods, just everything. Grossman clearly has great love and respect for the fantasy genre, but he's so willing to poke fun at it and turn it on its head, and it's wonderful. Granted, you do need to read both the first book (which is, I feel, not all that great) and the second book (which is better, but not amazing) in order to reap the rewards of this one, and many people may not feel that it's worth the investment. But I read all three books in pretty short order, and I think the world Grossman has created and the people with which he populates that world are worth the time. The pay-off is a slow burn, but it's a good one. Such a satisfying conclusion to the series! I hope you give it a go, if you are a fan of the epic or urban fantasy genres. This is a series I need to get into. Sort of late again to the cool books for me, and I've also struggled with my reading selections. Somehow, I need to move books up the list and not feel so guilty on which ones I want to read and when. I just wanted to say that I'm in a very similar place to you: I seem to just be gobbling fantasy this year and getting impatient with almost everything else. At least there's lots of good fantasy to read! I read and loved the first, so I definitely need to pick up two and three. I'm looking forward to the series even more now: thanks!